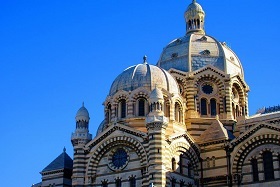 Marseille is a beautiful place to stay ! 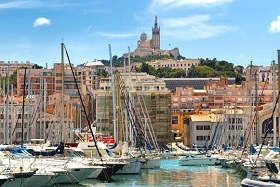 Thanks to the very good airport connections with many countries, Marseille is an easy-to-reach city from where you can discover all the beauties of Provence. In partnership with the incoming travel agency Provence Reservation, Provence Tours offers tailor-made packages for individuals, including ground transportation, accommodation, activities and excursions from Marseille. Discover below an example of package which content can be amended to better suit your expectations. Make your own way to Marseille Tourist Office and pick up your City Pass ticket. Valid for 24 hours, this ticket allows you to visit the Phocaean city at your own pace and enjoy different urban activities like a panoramic city tour by touristic train, a boat ride to Frioul Island or Château d'If. You will be free to take unlimited bus, metro or ferryboat rides : don't miss the opportunity to visit some museums like the MUCEM. Some shops will also treat you to substantial discounts or tastings : check out the map given with the Pass ! Overnight in a central hotel located close to the Vieux-Port. Spend the morning at leisure : you can continue your exploration of the city center with your Pass or wander on the Vieux-Port and meet the local fishermen offering different varieties of fishes and sea-food. 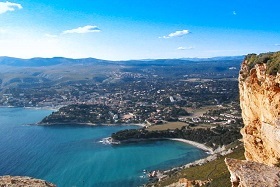 At 1.00 pm, meet your driver outside the Hotel Radisson Blu Marseille and get on the 8-seater air-conditioned Mercedes minibus for a shared half-day tour to Cassis and Marseille. The little fishermen village of Cassis is located in a bay, closed by the Cap Canaille, the highest maritime cliff in Europe, on one side, and the National Park of Calanques on the other. On the harbour, little boats are waiting for the curious travelers, eager to discover the Calanques during a 45-minute cruise (ticket not included). After spending some free time in the village, make your way back to Marseille and enjoy a panoramic tour of the highlights of the city. Drive on the Corniche road lined with luxurious private mansions, enjoy a photo stop at Notre-Dame de la Garde basilica cherished by the locals. The tour will end with a stop at Saint-Victor abbey, one of the oldest church in the city. As Gastronomy in France is almost as important as Culture, treat yourself with a semi-gastronomic dinner (first and second course, cheese, dessert) in the restairant on the rooftop in the MUCEM museum overlooking the Mediterranean sea. In a pleasant atmosphere, taste the cuising of Chef Passedat , a major figure of the local gastronomy who also owns the 5-star hotel and restaurant « Au Petit Nice ». If you wish to spend more time in the Phocaean city, you will have the possibility to leave your luggage at the hotel until your final departure.